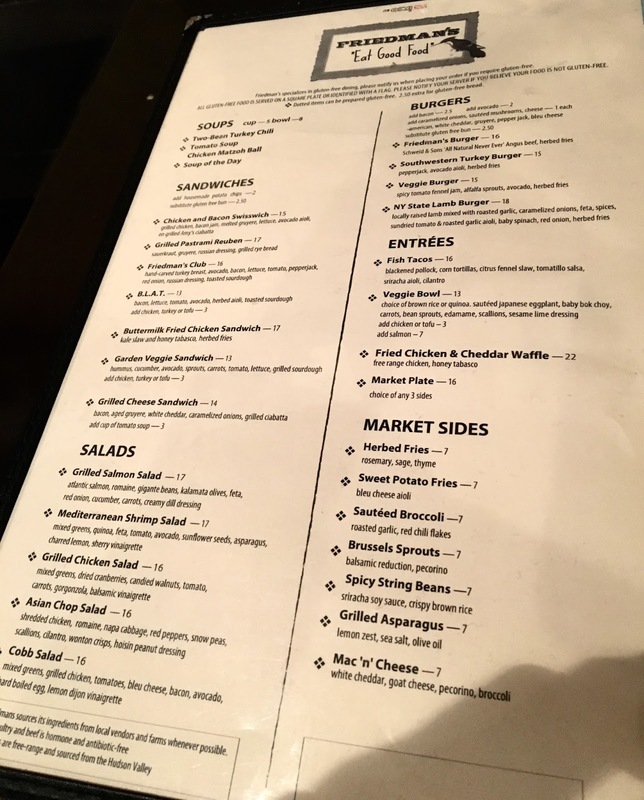 Because most of the menu is gluten-free, don't forget to tell your server that you require gluten-free accommodations. 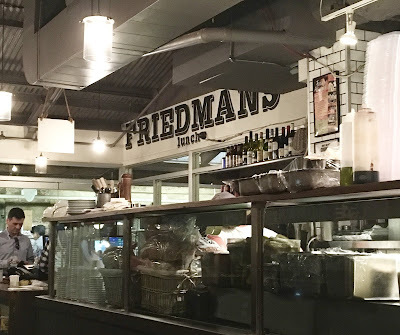 Although Friedman's welcomes gluten-free guests, it's best not to assume any menu item is safe as-is. Gluten-free fare is served on a square plate (as opposed to a round one) and is (sometimes) identified with a toothpick flag. Below is the breakfast menu, with gluten-free items marked with the dot symbol. 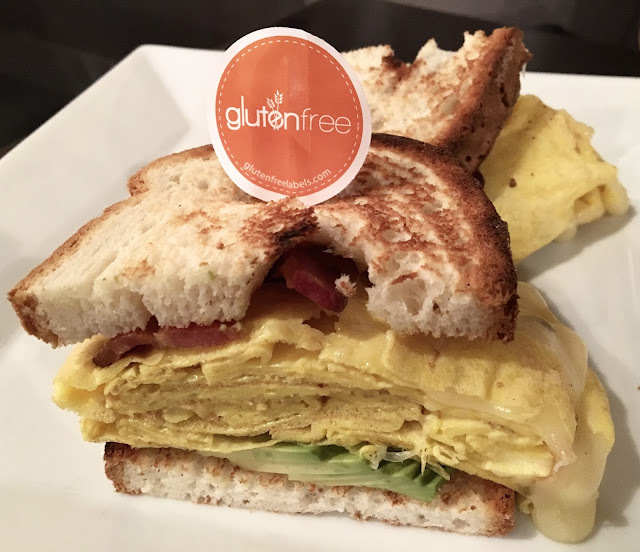 Items that typically use bread do have an uncharge for gluten-free bread. To see the full breakfast menu online for this location, click here. Because I dined right as the service switched from breakfast to lunch, I was able to check out the lunch menu as well. As with breakfast, the dotted items are or can be modified to be safe. To see the lunch menu online, click here. I ordered the avocado toast which came with eggs any way you want them and mixed greens. I loved the toast because the bread was toasted to crispy perfection. The avocado was heartily applied, both mashed and sliced, sprinkled with cumin salt. 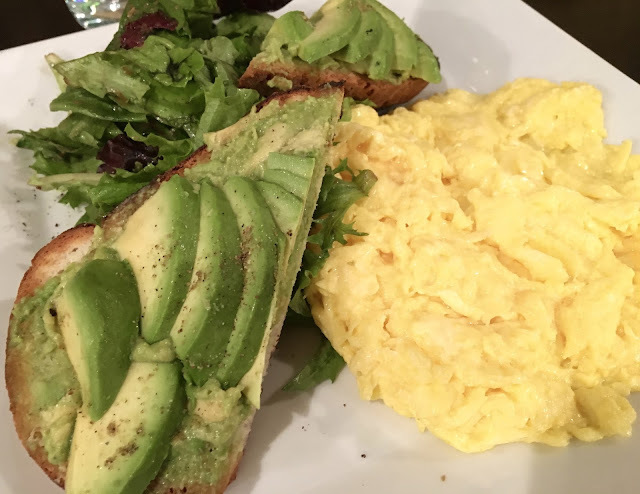 I ordered the eggs scrambled and they were perfectly: not too runny, not too hard, and were clearly fresh. The greens, also fresh were tossed with dressing that was light. I can't say I have ever had salad for breakfast, but I did not mind one bit with Friedman's. While simple, the meal was expertly executed and left me supremely satisfied. My mom ordered the breakfast sandwich, which had scrambled eggs, avocado, bacon and pepper jack cheese. She loved it, and I loved the cute gluten-free toothpick, which announced that the sandwich was safe. It's a rare treat to be able to enjoy breakfast out. 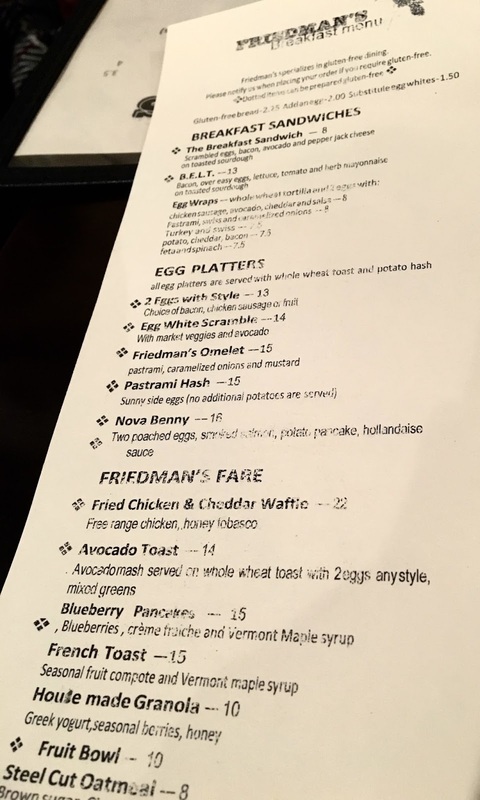 While some of the specialties (such as pancakes) were not dairy-free, the abundance of gluten-free offerings on Friedman's menu more than makes up for what I couldn't have. This should totally be a destination for any gluten-free foodie, and the expertise demonstrated assured me that my food was safe. While at Chelsea Market, take time to explore around the shops in the old market. Looking for things to do in the area? Check out the High Line Park, which I explored after my meal. Special Features: Get Friedman's delivered through GrubHub.